This Post Contain Droners Review For Crazy Drones Lover! You have to accept that drones are cool even if you have no good reason to justify buying one. Drones are one of the most exciting new tech inventions and are rapidly becoming mainstream whatever you call them flying cameras, quadcopters or consumer drones. Are you looking for the best drones in 2018? No worries look no further check below our top 10 list of the best drones available in 2017. Among the drone flying community, these drones are highly rated. All types of drone pilots use these drones. A great way of getting incredible footage while still having fun drone is actually great. In the past time, there were only a few drones for beginners. The stability systems, autonomous and GPS flights all of which greatly help who are beginner pilot but past time then they weren’t equipped with technologies. But modern day drones are not like past times your mind would like to buy one for that you need to research for a lot of information how to get best drones as a beginner So no worries we have made a list for you so that you can easily choose the best drone as a beginner. We have given all features of some of the best drones that are really suitable for beginners in all aspects. So don’t delay just check the list below. Companies Like DJI, Yuneec Parrot, and UDI give you a fresh look at the most popular RC camera drones. This is new technological era and this era has brought us to change the way we view the world. Drones are one of the parts of this new era and especially drones with the camera are the best thing. Therefore we have made this article for you only the best live camera drones. We can assure you that you will be able to make your right choice to but the best drones with the camera for you. Here we will start our list with some cheap drone models with a camera and finish with professional drones. If you are looking drones which can fly easily and also have aerial photography systems then DJI drone’s quadcopter’s Phantom is the best in standard in consumer drone technology. Parrot's new version is the Parrot Bebop 2 drone. The Bebop 2 has the 14-megapixel camera which can record sharp 1080p HD video. in the new version, the battery life is 25+ minutes more you will get. For better visibility outdoors and at night it has the bright rear LEDs.By using Parrot's excellent FreeFlight 3 WiFi piloting app you can control the bebop2 through smartphone and tablet. Without breaking the bank if you want to shoot pro –level aerial photos and videos without breaking then this drone you should buy it. It has an excellent If you're looking to shoot pro-level aerial photos and videos without breaking the bank, this is the drone you should get. It offers an excellent 4K ultra high-definition (UHD) camera with the ability to capture slow-motion 120fps (1080p) videos and 12-megapixel photos. This drone gives smooth shots from above because it has a very good 3-axis Gimbal. 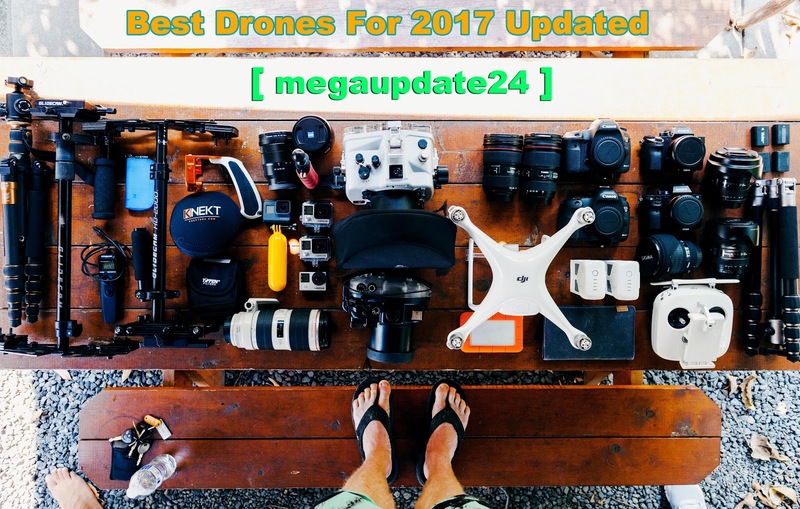 These are the top and Best Drones For 2018 and all of these are updated. Don't forget to share this post with your drones lover friends.